Should You Send Your Child To Camp Hazen YMCA? Yes, definitely! Why? Because kids return from camp more confident and inspired to try new things, be better friends and take pride in what they do. As a result of being with counselors who are such positive role models, your camper will better understand what is right, what is wrong and be able to cope with school and life situations. The Camp Hazen Experience encourages kids to be themselves, live with integrity and achieve their full potential. Each cabin group is a family with eight campers and two counselors who ensure that all are respected and involved. Counselors guide campers through cabin clean-up and decision –making regarding activities. Evenings are spent with the cabin group, or village of cabins, in a variety of exciting games, campfires and all-camp events. At the end of each day, campers enjoy one of the great traditions of Hazen; a counselor-led “cabin chat” that covers daily reflections, personal values and future dreams. Hazen’s Five Villages Give Campers A Sense Of Belonging. Campers may request having a friend in their cabin when they register. Request must be mutual and of the same grade. As returning campers know how easy it is to make friends with kids in other cabins, we do give preference to request from first time campers. Missing home when at camp is normal for all kids. Camp is a safe place, and getting over homesickness is an important part of the camp experience. 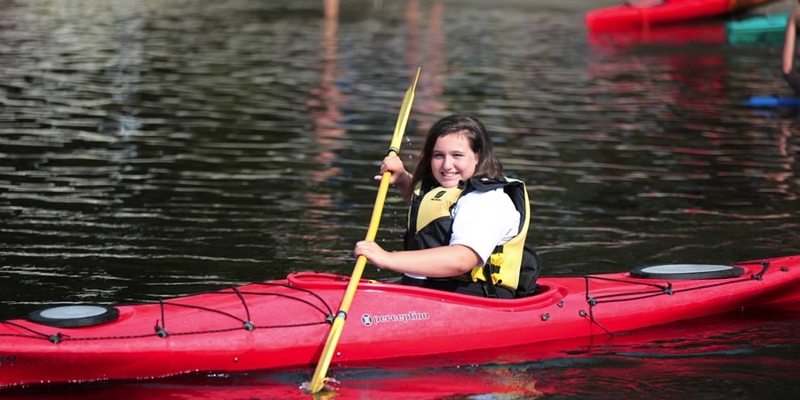 It helps campers build their self-esteem and develop a sense of independence. Our caring staff help campers understand it is possible to feel two different things at once, and that it is ok to miss home while enjoying all the fun new activities they are trying and friends they are making. The staff will work with each individual child throughout their stay at camp and will keep you informed of any concerns that they have about the overall health & wellbeing of your child. There is a Registered Nurse in the camp Health Lodge at all times throughout the summer. All of our healthcare staff provide care for campers under orders from the camp physician. In case of emergencies, campers and staff are taken to the camp physician or the local emergency treatment facility. Parents will always be contacted should there be an urgent medical concern. Safety is always a top priority at Camp Hazen YMCA. We work tirelessly to provide the safest programs, facilities and staff that we possibly can. We have a long history of running an extraordinarily safe camp, and we will continue to do so this summer. As a close-knit community, Camp Hazen expects each camper to respect themselves and others at camp, as well as the staff and facilities. Everyone in the Hazen community, including campers and staff, are expected to behave responsibly and appropriately at all times. The staff will work with individual campers to modify inappropriate behaviors and will notify parents when necessary. The Camp Director may choose to dismiss a camper if inappropriate behavior does not improve. Behaviors that may result in discipline or dismissal from camp include, but are not limited to: bullying, bad language, threats or fighting and possession of tobacco, drugs or alcohol.